Maine&apos;s oldest marine museum will open Friday for its 75th year with new exhibits ranging from contemporary art to historic artifacts. Penobscot Marine Museum will host a free reception at 5:30 p.m. on opening day to give visitors a taste of this year&apos;s exhibits and a chance to meet some of the exhibiting artists and the museum&apos;s new executive director. The signature exhibit for the year, "75 for 75" will showcase 75 artifacts from the museum&apos;s 75 years. Ranging from marine paintings and domestic artifacts to ship models and full-size boats, "75 for 75" is spread across several of the museum&apos;s 13 buildings. "It&apos;s kind of a capsule history of the museum which is, itself, an ongoing record of Maine&apos;s and Searsport&apos;s maritime histories," said museum curator Ben Fuller. 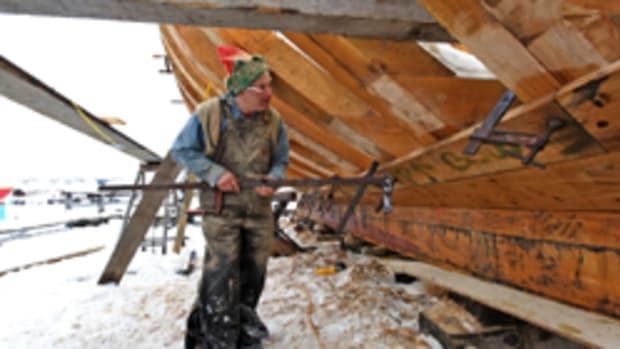 A second new exhibit, "The Art of the Boat," will present works by more than 50 contemporary painters, sculptors and photographers exploring the themes of the boat as a work of art and the boatbuilder as artist. "We asked artists to balance the art that is in the boat with their own artistic vision," said Fuller. Penobscot Marine Museum is at 40 E. Main St. in Searsport, between Camden, Bangor and Bar Harbor. Admission is free for Searsport residents.